Whether you work in an office or on nation’s roadways, everyone deserves to get home safely. National Work Zone Awareness Week (NWZAW), in its 19th year, is a national public awareness campaign that spreads the message that we are all responsible for work zone safety. This year’s NWZAW is April 8-12, 2019, and this year’s theme is “Drive Like You Work Here”. 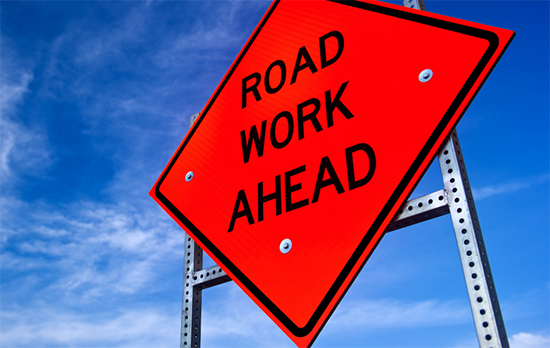 Recent statistics from the National Highway Safety Administration’s Fatality Analysis Reporting System (FARS) show (from 2016 to 2017) a two percent increase in total work zone fatalities and increase from 668 to 710 total work zone crashes. Those startling statistics further demonstrate the importance of spreading awareness of work zone safety and participating in NWZAW to spread the message that we all play a role in getting roadway workers home safely. As part of NWZAW, all are also encouraged to participate in Go Orange Day on April 10, a day where individuals are encouraged to wear orange as a visual reminder to others of work zones, and post photos of their Go Orange Day activities to further spread awareness of work zone safety. Be sure to participate in #NWZAW and #GoOrangeDay – Wednesday, April 10, 2019 – by spreading the message of work zone safety with your friends, family, and community, and by liking, commenting and sharing on social media using the hashtags #NWZAW and #GoOrange4Safety.